Welcome to Flashback Friday! 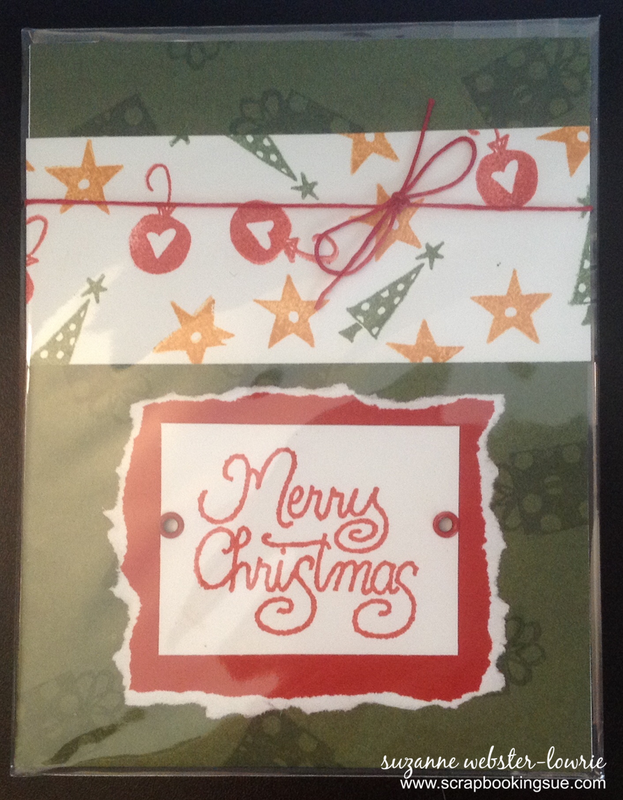 Today I have a bunch of Christmas cards that I made many years ago, using the stamped background technique. 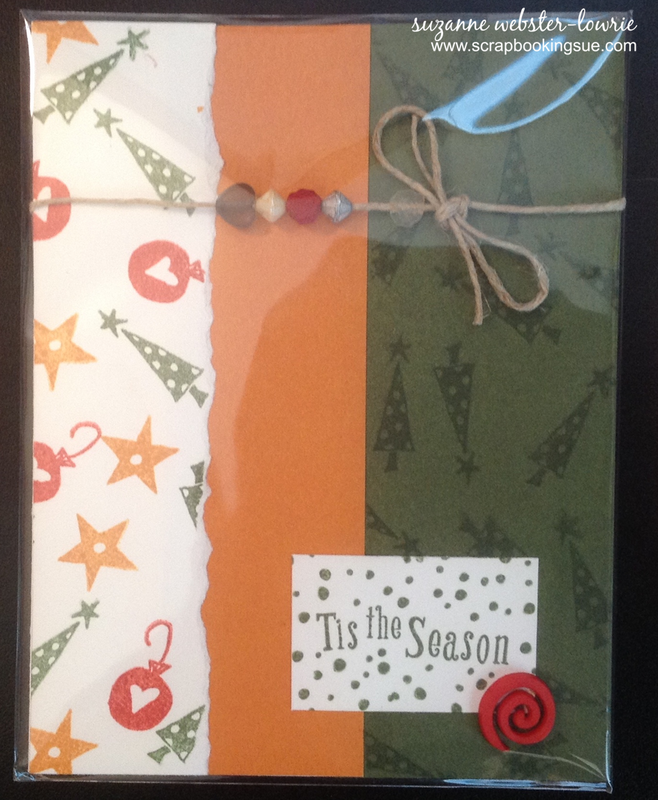 Basically, I took a sheet of white 12″ x 12″ cardstock and random stamped designs all over the entire sheet, using different stamps and colors. 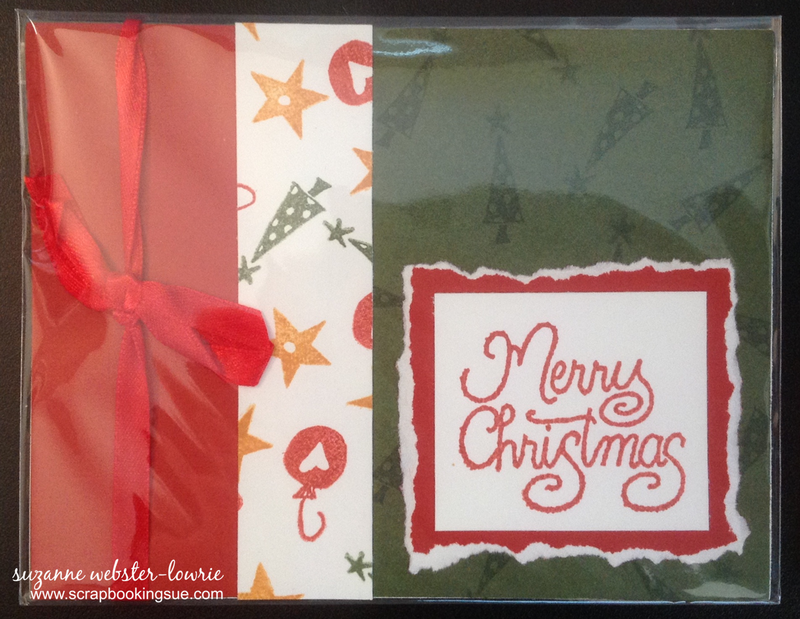 Then, I cut the sheet into different segments, so that I would have a strip of the random stamped paper to use on each of my Christmas cards. 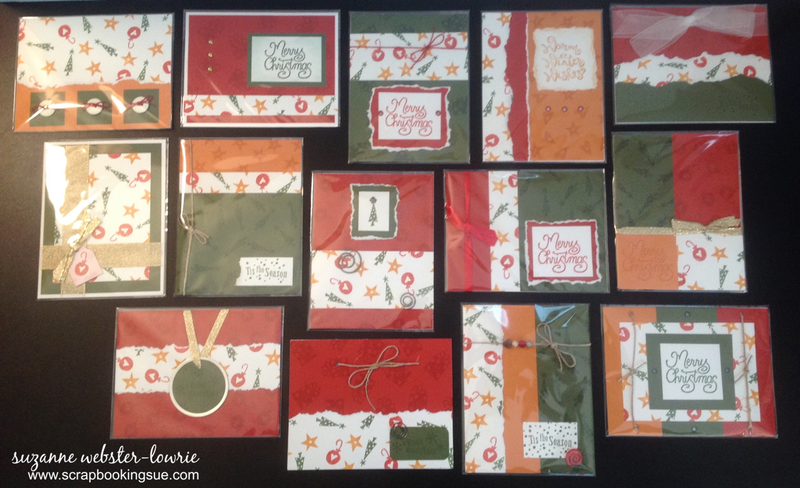 By adding some Cranberry, New England Ivy, and Goldrush papers, with a few embellishments, I was able to get 14 card designs out of the one sheet of paper.